Thank you for sharing the details on these recalls. Thanks so much for the recall info. I have racing whippets and am in the minority since I have always felt that raw foods had so much potential for problems. Glad I didn't succumb to peer pressure on this one and kept my dogs healthy. Thanks again. My whippets have been fed Life Abundance their entire lives and seem to be thriving. It’s very disturbing that the quality control of these large pet food companies does not do enough to protect our pets. 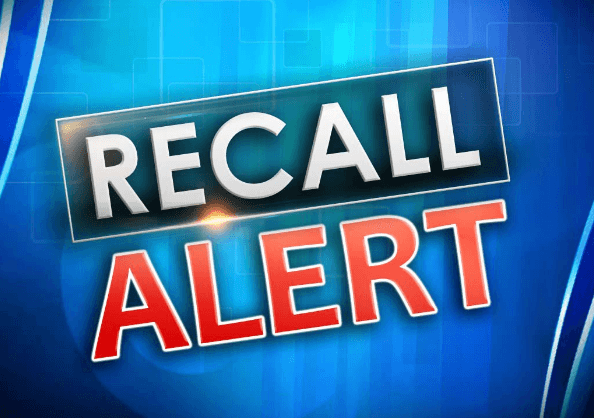 The other upsetting reality is that thousands of pets are eating these contaminated foods and treats and will never know because there is not a company system to notify them about the recall. They have no way to contact their buyers, other than FDA notices and possibly the store that sell the item, posting a notice on the wall (which is unlikely). I’m so grateful for the integrity, quality controll and protection Life’s Abundance lives by every day. I don’t know of another company that has quality control and a safety system just in case we ever had a problem with a batch (not that we ever have or, I believe ever will). Who else has the customer’s contact info that allows them to text or email clients in case of health risk to their pet. This is peace of mind for me and all the clients I offer LA food and treats too. Thank You! Thank You! Our little Fritz came to us from Kennel of Dreams and is now 6 years old. He was being fed Life’s Abundance by his kennel mom and we have continued with nothing but Life’s Abundance. He is a very happy and healthy little boy. We will never change his food. Excellent information to share. Thanks so much. Thanks for the update! I would like to know if Primal is ever added to recall list. SO very important. Good info here. I'm sharing this all over so others can be in the know, too! What do you think of Origen's freeze dried raw treats for cats and dogs? My Angel started Life's Abundance after suffering with terrible IBS...it resolved within a few weeks after getting off of the commercial food I was using and switching to Life's Abundance. Unfortunately, at 13 1/2, Angel passed from mast cell tumor cancer. When she was diagnosed, I was in a group encouraging me to feed her raw, that all kibble was junk..even organic ones. I wound up cooking for her and lessening the kibble, but she didn't improve much. We lost her December 2017. I'm not sure what caused her cancer..is it the food we feed our dogs? Is it over vaccinations? I still believe this is a very good product and I appreciate your information on all of the recalls. If and when I get another dog, I will definitely use Life's Abundance. Thankyou for the info. I found your food based on the fact that I was sick and tired of checking to make sure my dogs food wasn't on the latest recall list and found out about life's abundance. My dogs have been happy and healthy ever since. I. Love. The. Dog. Food. And. The. People. Smoothie. It. Gives. Connie. A Lot. Over. Energy. Recalling dog food! My dogs ear Alpo and Pedigee! I just want to make sure it's not one of those! Please add me to your email notification list. We, like most people that have pets love them very much. This is just another alarming issue to worry about it. Just cannot figure out what is wrong with people. Cruelty to elderly, children, women and now pets. What is wrong with people!!!!!!!! !